Qingdao Influx International Trade Co., Ltd.
Q2. Can I use this resin pad on different tool9 Wet&dry polishing pad is designed to be used the low RPM. Q3.Do we really need a center water-feed 9 The wet&dry resin pad is designed to be used on a center water-feed tool. We are proud of our wide product range, strict quality control and stable customer relationships. What colors can we make9 We can make brown, black or green color for the discs. Can I have a sample to test quality9 Yes, sample is free, but international express cost should be paid by customer. Where is your factory, how can we visit you9 Our factory is located at Yongkang, Zhejiang. The product is mainly divided into two kinds, one kind of corundum abrasive products, used in grinding of steel and metal; another kind is silicon carbide abrasive products. Grinding wheel can be set with multiple plastic rings, in order to suit the requirements of all kinds of standard size. The unintentional grinding is the grinding of the center of the workpiece. Jiangsu Ruitai Grinding Wheel Manufacture Co., Ltd.
Linyi Dapeng Hardware & Abrasives Products Co., Ltd. 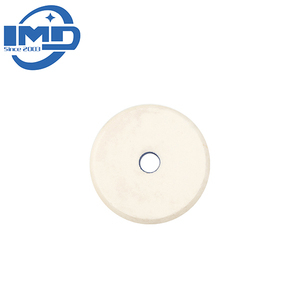 Specifications of flap disc: 1.Aluminum oxide flap disc with fiberglass base Application:suitable for metal,wood. Speed Material Grit 4"*5/8" 100*16mm 15200 Aluminum Oxide 36-400 4-1/2"*7/8" 115*22mm 13300 Aluminum Oxide 36-400 5"*7/8" 125*22mm 12200 Aluminum Oxide 36-400 6"*7/8" 150*22mm 10200 Aluminum Oxide 36-400 7"*7/8" 180*22mm 8500 Aluminum Oxide 36-400 2.Zirconia flap disc with fiberglass base Application: suitable for stainless steel, inox, glass polishing; Inch Size Metric(mm) Max. 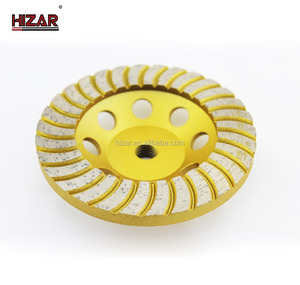 Speed Material Grit 4"*5/8" 100*16mm 15200 Zirconina 36-400 4-1/2"*7/8" 115*22mm 13300 Zirconina 36-400 5"*7/8" 125*22mm 12200 Zirconina 36-400 6"*7/8" 150*22mm 10200 Zirconina 36-400 7"*7/8" 180*22mm 8500 Zirconina 36-400 3.Calcined flap disc with fiberglass base Application: suitable for metal polishing; Inch Size Metric(mm) Max. 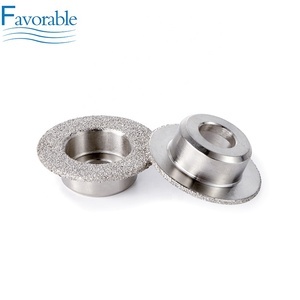 marble grinding , grinding wheel stone ,grinding disc for glass,4"
Alibaba.com offers 13,612 stone grinding wheel products. About 46% of these are abrasive tools, 3% are saw blade. A wide variety of stone grinding wheel options are available to you, such as abrasive disc, abrasive block, and abrasive pad. You can also choose from free samples, paid samples. 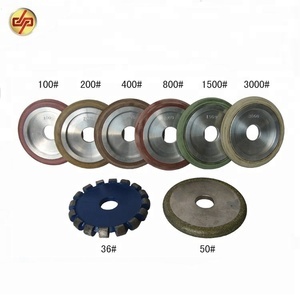 There are 13,554 stone grinding wheel suppliers, mainly located in Asia. The top supplying countries are China (Mainland), Japan, and Taiwan, which supply 98%, 1%, and 1% of stone grinding wheel respectively. 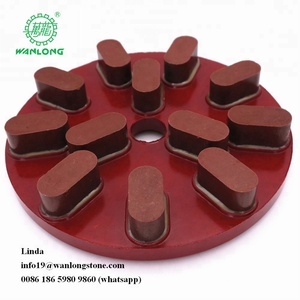 Stone grinding wheel products are most popular in Mid East, Southeast Asia, and Western Europe. You can ensure product safety by selecting from certified suppliers, including 2,905 with ISO9001, 1,111 with Other, and 92 with ISO14001 certification.